Guest post by Maureen Ladouceur, vice president, Health Systems Products, Marketing and Services, Quantia, Inc. According to a recent Physicians Foundation survey, 82 percent of physicians believe they have “little influence on the direction of healthcare.” At the same time, data suggests that physicians are the ones driving 80 percent of our increasingly unsustainable national healthcare spend. There’s been plenty of speculation on the reasons physicians are feeling so disenfranchised – including their frustration with having to do things that don’t appear, to them, to have anything to do with good medicine. Things like onerous documentation, EHR training and quality report cards are just a few examples. Further, physicians are being asked to learn about marketing, customer service, leadership, management and cost effectiveness that have more to do with taking care of the system than taking care of patients. In most cases it boils down to this: there’s too little time, too many distractions and too much change to the clinical and administrative guidelines that go along with being a practicing physician. So how can health systems overcome these very real obstacles and engage their physicians in ways that keep them current and aligned? For starters, any physician engagement strategy has to be digital if it’s going to scale. And to be sustainable, it’s got to be convenient, credible and enjoyable—while giving physicians a voice (and thus, gaining their buy-in) on topics that will impact the future of their practice, their organization and the overall healthcare system. With an estimated half of current medical knowledge becoming obsolete every five years, even the most experienced physician can’t keep up with all the changes in healthcare. Yet many bristle at the idea of spending time away from the office at symposiums, or submitting to onerous exams on content that may or may not be relevant to their practice. A recent article in the New York Times article (“Stop Wasting Doctors’ Time”) revealed strong physician resentment for what they describe as archaic exams and paperwork-heavy assessments related to re-certification, and instead called for “periodic, modest-size, open-book tests that incorporate relevant knowledge and updates.” The trend is clear — physicians are looking for alternatives to some of this old-school learning and eager for concise, expert content that fits their busy lives. The key phrase there is “expert led.” While physicians are generally encouraged to practice empathy with their patients, there are not many people who can empathize with the demands on today’s physicians, other than their peers. They are each other’s best allies, confidants and teachers. Building an online community that physicians can trust, with clearly named and credentialed members representing the top healthcare organizations in the country, has the power to drive better patient care. Examples like this point to real outcomes, and physicians who engage with these kinds of digital tools are well equipped to deliver high quality, consistent, cost-effective care. While most physicians take pleasure in helping patients, daily practice has its fair share of drudgery and exasperation. 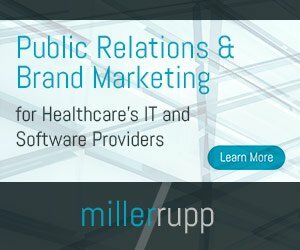 Offering physicians relevant challenges and knowledge-based contests that let them engage in some friendly competition—and rewarding their participation in meaningful ways—makes the burden of staying current with their practice and with the healthcare industry feel less, well, burdensome. Beyond these extrinsic rewards, many physicians find intrinsic value in voicing their attitudes and sharing their behaviors around key healthcare topics. Including online polls and surveys in a physician engagement strategy helps efficiently gather this information and reveal how different populations respond. In fact, a recent survey of physicians found that only 15 percent of respondents feel strongly that they have a significant influence in their hospital or health system. “Aiding my Health System’s strategic direction will likely benefit my patients in the long run,” said one physician respondent. “However, I don’t believe that values important to physicians are largely taken into account in the formulation of my Health System’s strategic direction.” This kind of buy-in clearly has a direct impact on a health system’s overall success. In some ways, technology may be to blame for the lack of physician engagement that many health systems report, and which contributes to unnecessary cost and quality variation. However, technologies that understand and exercise the science of physician engagement have the power to create a more cohesive, more efficient healthcare system – one in which we can all feel a sense of ownership.